'Powerdrive Drum Company' was established in 1969 when a group of professional musicians found that they could not find products of the right quality and versatility to meet their very specific requirements. Initially the company produced musical instrument stands - drum stands in particular! - but found a growing demand for their approach to problem solving in lighting, PA systems and loudspeaker installations. 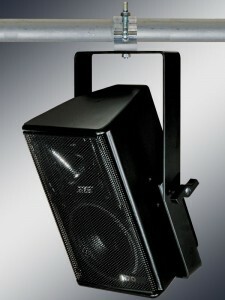 Almost half a century later Powerdrive has evolved to offer what is probably the largest range of loudspeaker brackets and stands in the world. Our range of brackets is continuously expanding with new configurations and ideas, typically driven by devising solutions to meet customer requirements and new speakers entering the market. We also maintain drawings for most of our designs dating back decades so even speakers that might be described as 'vintage' today can be supported with a choice of period mounting brackets from our archives, or we may produce a version of a contemporary Powerdrive bracket customised to mate to the vintage speaker.